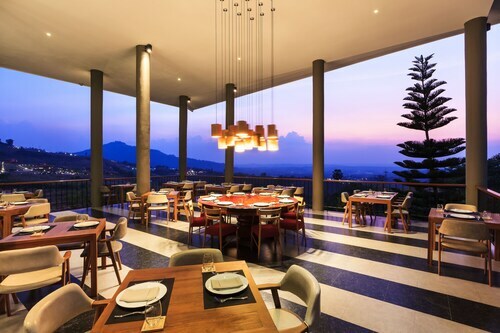 Have you considered locking in a Khao Kho vacation package? It's simple with Expedia, and you'll be able to buy a few fancy dinners or souvenirs for your friends back home with the money you save. With just a few clicks, you can organize everything you need for your next adventure via our enormous database. And — with more than 400 partner airlines and 321,000 properties from all around the world, you'll have the flexibility to pick and choose! If you have to change your vacation plans, we'll honor your cancellation request on nearly all bookings with no extra fee. It's nice to just stroll around the streets when you're in a new destination, but sometimes it's sensible to have a plan in place. Grab your travel schedule — we have heaps of cool ideas for your Khao Kho vacation. Try to envisage the stories hidden in the walls of Khao Kho Palace as you appreciate its splendid facade. Still have some time to spare? Love to see the sunset among some stunning scenery? Khao Kho Viewpoint boasts glorious views that deserve to be photographed. On your way to Khao Kho? It'd be sensible to book a room for your cheap vacation or luxury getaway as soon as you can. There are just 4 properties available. If you're into things like dining rooms and valet parking as well as comfortable beds, why not inquire about the amenities at the Sirinati Khao Kho National Park (155 Moo 12) and the Khao Kho Boutique Camps (64 M.2, Thung Samo)? No one loves waiting around at the airport. But it's worth it when you think of the amazing destination that awaits! Based 45 miles (72 km) west of Khao Kho, Phitsanulok Airport (PHS) is the closest terminal. 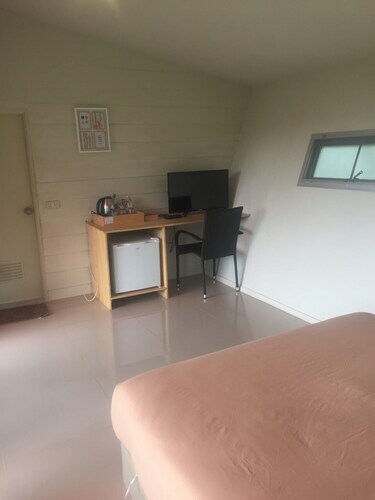 Situated in Khao Kho, this hotel is 1.8 mi (2.9 km) from Khao Kho National Park and within 6 mi (10 km) of Thung Salaeng Luang National Park and Itti Base Military Museum. Khao Kho Hedge Maze and Khao Kho Memorial are also within 6 mi (10 km). Located in the heart of Khao Kho, this hotel is within 2 mi (3 km) of Khao Kho Post Office, Kanchanapisek Pagoda, and Khao Kho Palace. Khao Kho Viewpoint is 2 mi (3.3 km) away. Situated in Khao Kho, this hotel is 1.6 mi (2.5 km) from Wat Prathat Phasornkaew and 2.5 mi (4 km) from Phu Hin Rong Kla National Park. Wat Khaem Son is 2.4 mi (3.8 km) away. 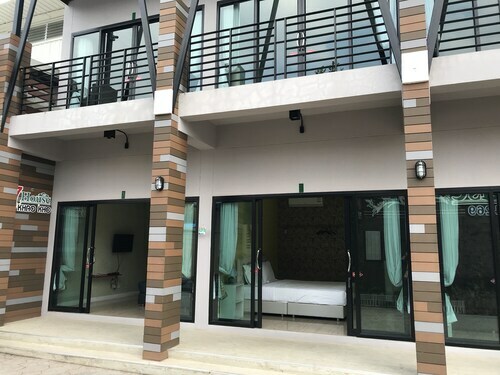 Situated in Khao Kho, this hotel is 1.2 mi (2 km) from Thung Salaeng Luang National Park and 2.5 mi (4 km) from Khao Kho National Park. Khao Kho Viewpoint and Khao Kho Palace are also within 9 mi (15 km). 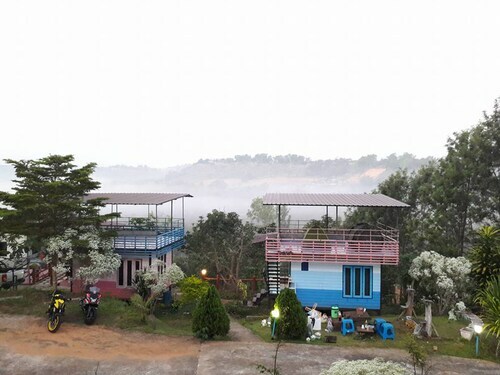 Situated in Khao Kho, this hotel is 1.3 mi (2 km) from Phu Hin Rong Kla National Park and 2.7 mi (4.4 km) from Thung Salaeng Luang National Park. Wat Khaem Son is 2.5 mi (4 km) away. 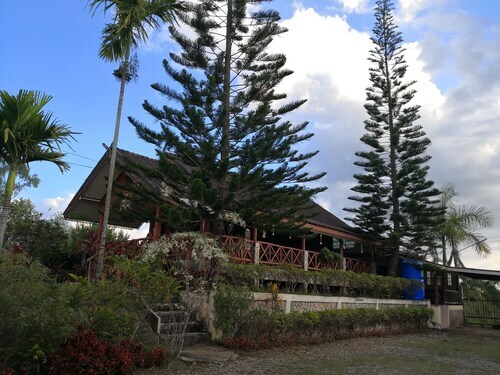 Situated in Khao Kho, this hotel is 1.9 mi (3 km) from Wat Khaem Son and 1.9 mi (3 km) from Phu Hin Rong Kla National Park. Wat Prathat Phasornkaew and Thung Salaeng Luang National Park are also within 6 mi (10 km). 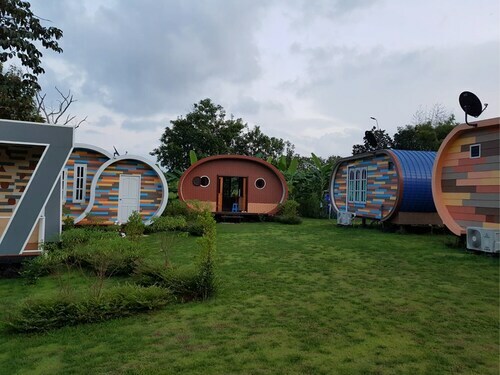 Situated in Khao Kho, this hotel is 1 mi (1.6 km) from Wat Khaem Son and 2.6 mi (4.2 km) from Phu Hin Rong Kla National Park. Thung Salaeng Luang National Park and Wat Ban Na Yao are also within 6 mi (10 km). 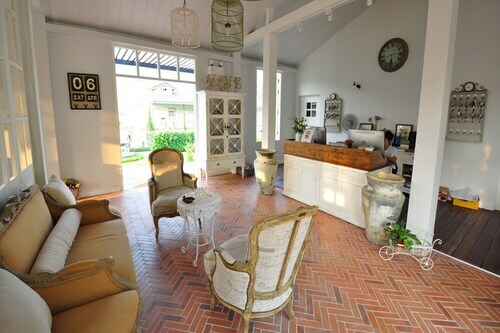 Situated in Khao Kho, this hotel is within 2 mi (3 km) of Kanchanapisek Pagoda, Khao Kho Post Office, and Khao Kho Palace. Khao Kho Viewpoint is 2.1 mi (3.4 km) away.